It speaks of God’s consistency, His compassion, and how no matter what, God never fails. Every morning we wake up to what God has provided. Without fail, and no matter the circumstances, He is faithful. Our job is to praise Him, thank Him, and serve Him with joyful hearts! That’s easy to do when things are going well! But what about during difficult times? When a situation is less than ideal, are you still praising God? Are you searching for the consistencies of His character? Are you looking for the blessings in the challenges? Are you seeing His mercy and grace in every circumstance? In the last two years, I’ve watched two friends of mine bury their only sons. One child died when he was two, and the other when he was 21. Both lives cut way too short and unexpectedly. However, in both cases, I’ve seen my friends — these grieving mothers — rely on the faithfulness of God. 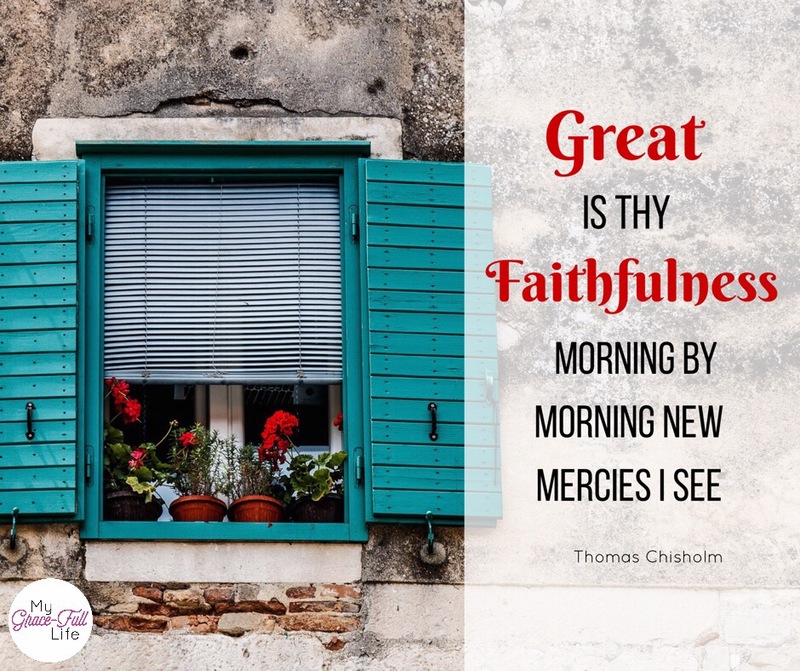 They don’t understand why God allowed these situations to happen, but both women have modeled faith greater than their circumstances… both have looked for the mercies of God that reveal themselves each day. They have both inspired me to remember the truth of how truly great His faithfulness is. Today, as you pray, ask God to help you remember His grace and mercy are always there… always available… and remind you of how reliable He always is. He promises to work all things for good (Romans 8:28), even if we don’t understand in this lifetime. Previous Previous post: 5.11.17 Prayer Prompt: Versatile Faith?